Once we arrived at Gatwick airport we faced the immigration officer, we explained that we are in transit to NY and I showed him the ticket, hotel booking in NY and a business fair I was participating at NY, he asked me if I was refused a visa before to UK and I said yes, then he started the procedure of detaining us, took our biometrics and etc...We asked him if he could arrange for us custody transit to Heathrow, he refused!! Therefore, instead of staying at 4 star hotel in NY we end up at detention centre sleeping in a room with a guy who was sentenced 5 years!! On the following day they removed us to Tirana. It was a horrible experience!! 1). Will this removal affect our future trips to EU and US? 2). Should we hire a solicitor and open a court case against this immigration officer which gave us an extremely stressful time? 3). How can I clean this negative record from their system? 4). Was he legitimate to detain my wife with a clear immigration record in UK? I will appreciate any feedback! Will this removal affect our future trips to EU and US? Not necessarily. You were removed at port after being detained, fingerprinted and photographed. It happens. I was also detained, fingerprinted and photographed like a criminal although in my case they eventually allowed me in. In future whenever you are asked if you have ever had any problem with immigration, answer truthfully like you did. Preferably always carry a copy of the documents they gave you which clarifies the reason you were denied entry. Should we hire a solicitor and open a court case against this immigration officer which gave us an extremely stressful time? Do not bother. It is not worth it and nothing really can be done from what you describe. They have the authority to refuse you entry into Britain. You didn't need a transit visa however because you had previously been refused a UK visa, you should have gotten one. What happened to you frankly was expected. 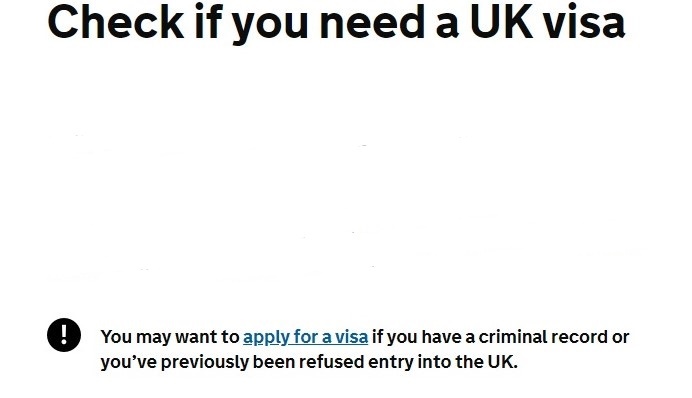 The UK Government website recommends you get a visa if you previously had any immigration issue and over here we always recommend you get a visa (even if you do not need one) if you previously had a problem with UK immigration. An entry clearance acts as a panacea to almost all the problems one can have with UKVI. How can I clean this negative record from their system? You cannot. Refer to this answer by Gayot Fow who was the authority on this website for UK immigration issues. Just continue with life. In my case I was able to get them to remove the flag on my profile, however remember I was never denied entry although I was detained, fingerprinted and photographed and those biometric part of the records remain for ten years. Was he legitimate to detain my wife with a clear immigration record in UK? Yes he had the power and very legitimate. Only citizens have the right to enter their country. Everyone else can be refused for virtually any reason. Yes, and other countries as well. You now have two removals or denials on your record. 2). Should we hire a solicitor and open a court case against this immigration officer which gave us an extremely stressful time? You could but it’s extremely unlikely you’d win. You’d have to front the entire expenses and even then a UK solicitor is unlikely to take it as you have almost no chance of winning. 3). How can I clean this negative record from their system? Spend the next ten or twenty years building up a solid travel record - first in countries that are lax about immigration and then building up. 4). Was he legitimate to detain my wife with a clear immigration record in UK? She is the only one who might have a claim. My guess is that she didn’t have the evidence for the independent financial circumstances to convince the officer to allow transit only to her. Not the answer you're looking for? Browse other questions tagged uk customs-and-immigration transit-visas removal albanian-citizens or ask your own question.